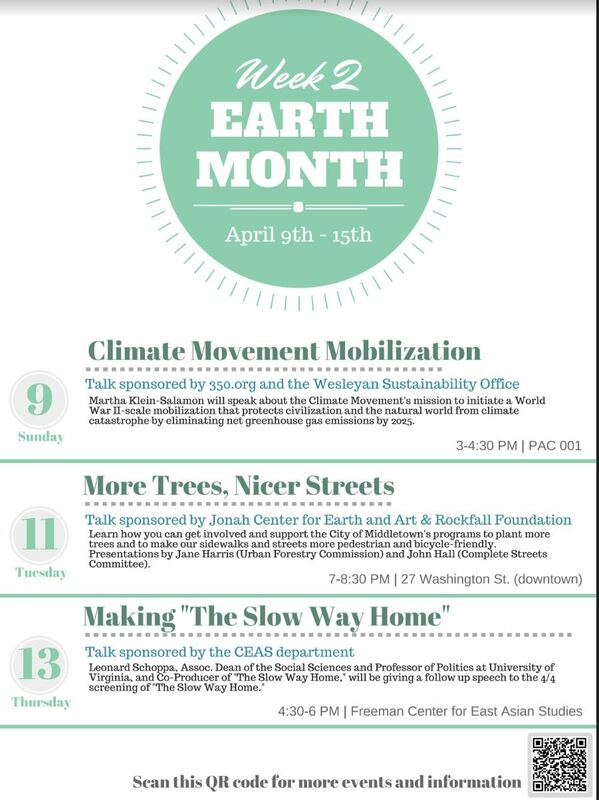 Each year, Wesleyan holds many activities during April to celebrate Earth Month! This year we will have film screenings, lectures, concerts, a DIY body products event, and more, hosted by academic departments, student groups, the Sustainability Office, and more. For a full list of events (and to add your on- or off-campus event) visit the editable Earth Month 2017 calendar on the Wesleyan Sustainability website. Posted by wilk in General on April 4, 2017 at 2:27 PM.